Although for the roof overlap today predominantly preferred modern building materials, slate is still in demand. 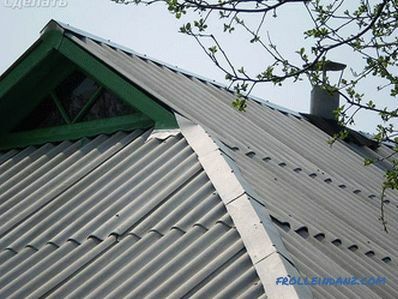 From this article, you will learn some of the subtleties of how to cover the roof with slate. You will understand that this difficult work can be done with your own hands. First of all, it is necessary to make all calculations. If it is wrong to calculate the required number of sheets of slate, then it may happen that at the end of the work one sheet is not enough. 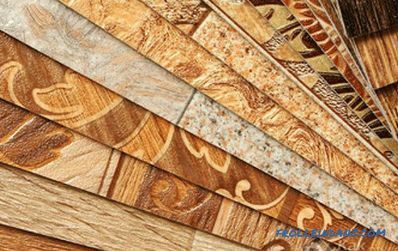 In addition, the possibility of marriage should be taken into account, because this material is fragile, in comparison with Ondulin or metal tile. Therefore, in the first place, we recommend performing accurate calculations. 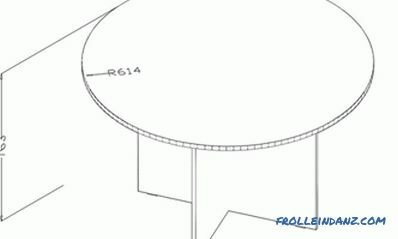 This will help knowledge of the size of the roof. So, measure the length of the roof, which must be divided by the width of the slate sheet. The result is inconclusive, as it should take into account the overlap vertically and horizontally. Therefore, you can safely add to the desired material about 10%. Similarly, measure the length of the slope and divide the amount by the length of the slate and similarly take into account the overlap and the protrusion of the slope. 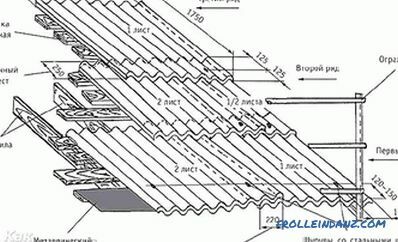 When you know how many sheets are needed for one vertical and horizontal row, it remains to perform a simple action, namely to multiply the number of rows by the number of required slate sheets in one row. 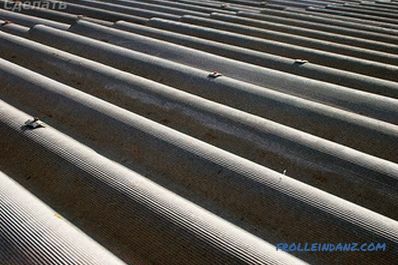 After the delivery of the roofing material to the construction site, you can proceed to other preparatory work related to the batten. 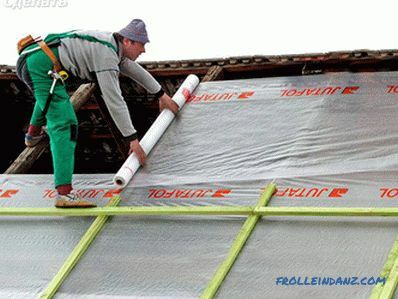 Fill the waterproofing film with the installed rafters. It is attached to the rafter legs with a construction stapler. It is recommended to pack the film from bottom to top overlapped by 150-200 mm. In addition, each subsequent strip of the film should form an overlap in the direction of discharge. 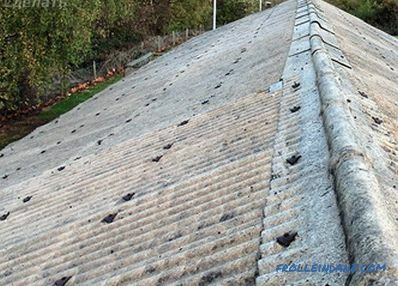 Otherwise, condensate or melted snow, which can blow out under the slate, will penetrate into the roofing space. 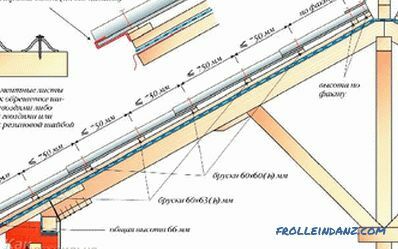 Further along the length of the slope, for each rafter foot, fill the rail 50 * 30 mm. 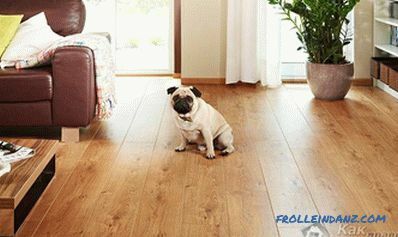 Above it, perpendicularly fill the crate, using the board 100 * 25 mm. Fastening of the batten to the rafters is done with nails. It is important to note that under each sheet of slate it is recommended to stuff 3 battens on the crate. One below, the other on top, and the third in the middle. In this case, the slate will have a solid base. After making the sheathing, you need to calculate the width of the overlap. 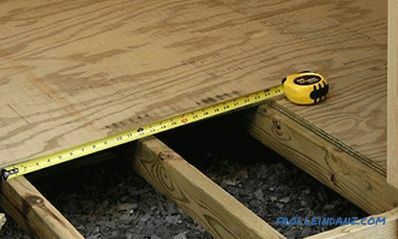 To do this, measure the length of the slope from the ridge to the extreme board on the overhang. Thus, you can calculate the exact width of the overlap. 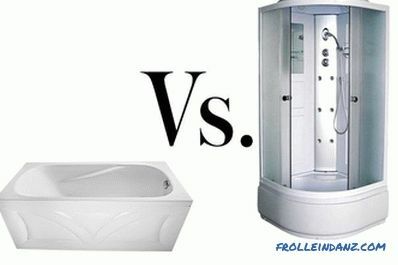 Ideally, you need to ensure that you have solid sheets. If trimming is necessary, then use a grinder with a disk for stone or a manual hacksaw. If neither one nor the other is at hand, then outline the place of the cut with a nail and make a series of holes with the help of a roofing nail and a hammer. Then enough to break off the slate sheet along the marked lines. 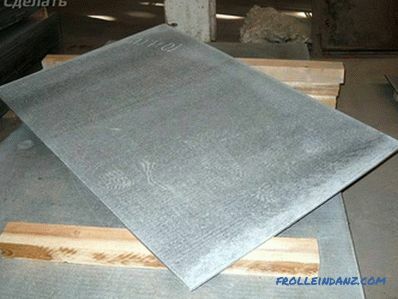 If the lathing is completely made, then you can proceed to the installation of slate. 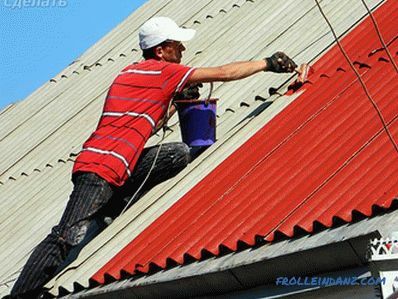 Here you will need an assistant, since it is hard to lift roofing material to one roof alone. The first sheet is laid on the bottom row. When mounting four adjacent sheets, a small gap is formed. To prevent it, the corners of the slate lying diagonally cut. Special slate nails are used to attach the slate. On each sheet consumed from 2 to 4 nails. To drive a nail is permissible only in the upper wave, not in the recumbent. To prevent splitting of slate, drill holes in the attachment points. The diameter of the hole must be greater than the diameter of the nail. Due to this, when the temperature changes the sheet will be able to move. When all sheets are laid, you also need to take care of the organization of the skate . For its formation, you can use slate or tin. There is also an overlap when you lay the horse. If you lay flat slate on the roof, the crate should be solid. Pre-made crate of the bars, on top of which is laid USB plate. As for the method of attachment, it is similar to that described above. If you are unable to complete the installation of the slate, then you have to hire craftsmen. As for pricing for such works, they depend on many factors, for example, the region where you live. But on average, the cost of work can reach 400 rubles per m 2 . So, you can approximately count how much the work of craftsmen costs, as well as what material is needed for this. So, we have examined with you the question of how to mount slate correctly.If you have your own experience, then leave your comments at the end of the article.